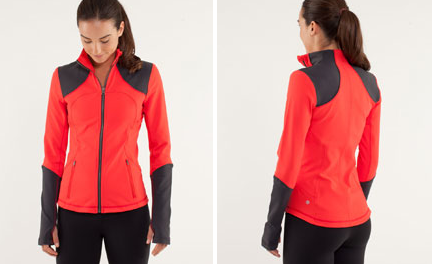 This product alert just popped into my inbox with a new jacket called Forme Jacket. I don’t think this is the retro Form Jacket but maybe it is. This must be the Define Jacket replacement. I’m really happy with the Defines I got this year and doubt I’ll be getting any Forme Jackets. Another strange thing is that Product Alert Emails are now formatted differently. Check out the product description. "Run: Bundle Up Jacket and Run: Ice Queen LS"